It has been a busy year for the Committee. In the last year we have organised and delivered more events for residents than any other year since the Council started. 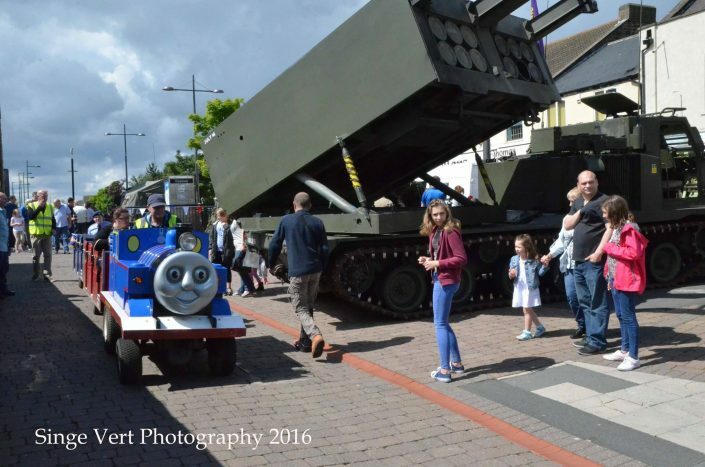 In June 2016, we organised Stanley’s first Armed Forces Day event on Front Street and created a carnival atmosphere. We are already planning the event for 2017 and it promises to be even better. 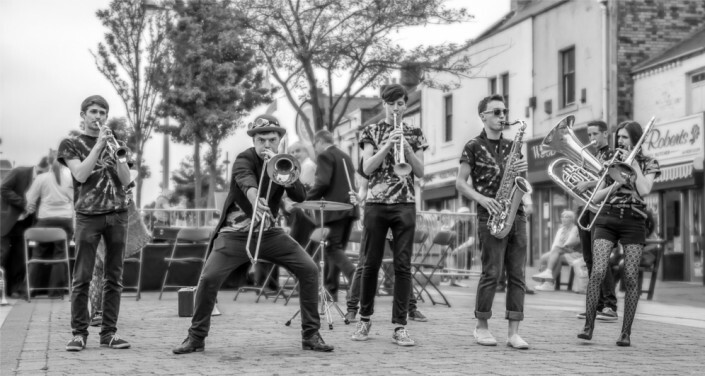 We put on a live Brass music event in Front Street as part of the Durham Brass Festival and paid for musicians to visit local schools and work with the children. We put on a community cycle ride along the C2C route. 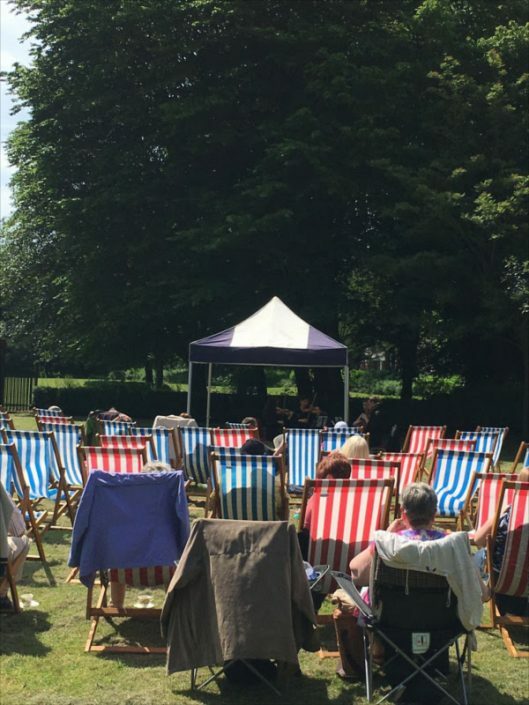 We repeated our ‘Tea in the Park’ event, combining classical music, tea and cake and deck chairs to create a memorable day out in Annfield Plain Park. The Council continued its financial support for the North East Horticultural Show, Moria Con – North Durham’s only geek convention, and through the Stanley Fringe Simon Green hosted ‘This is Stanley’, a celebration of Stanley in both film and photography that captured the imagination of everyone who saw it. 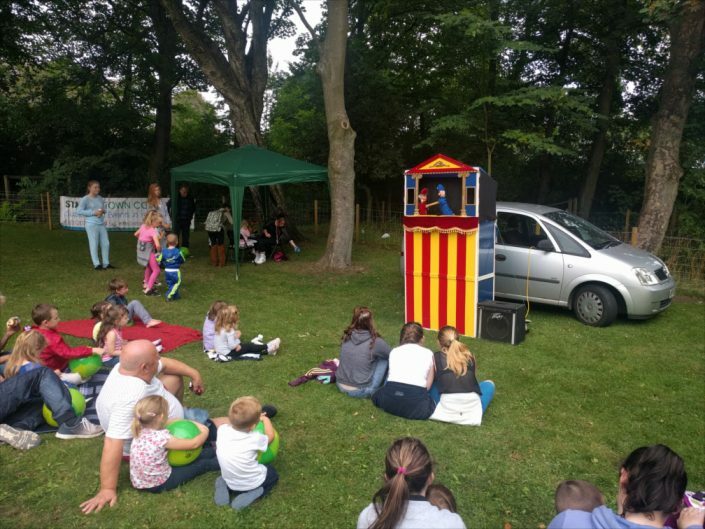 In the summer holidays, we launched our Play in the Park events at parks right across the parish, with the simple premise that we wanted to provide free or low cost activity days for families throughout the summer that they could walk to from their homes. Despite the odd organisational hiccup along the way, these events were an unqualified success. 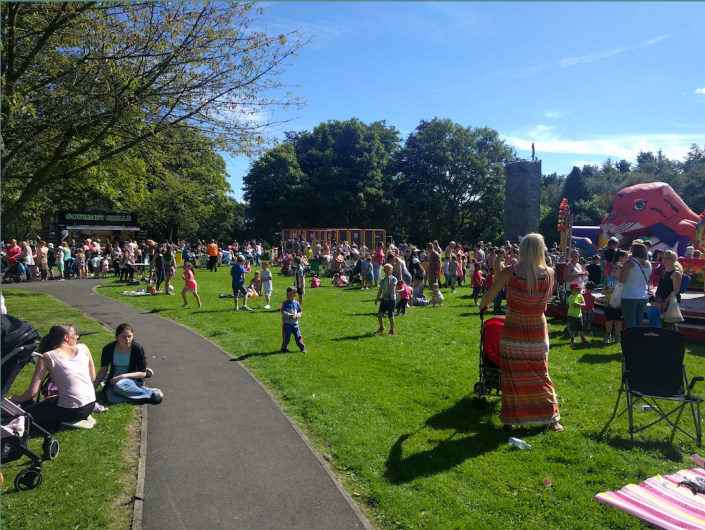 Attendances grew and grew as awareness spread and thousands of local people enjoyed a cheap fun day out. We will be repeating Play in the Park in 2017 and hope to build on the success of last year. In addition to organising our own fun days, we also provided a grant of £1,000 towards the provision of both the Craghead Family Fun Days and the Tanfield Lea days over the summer enabling those groups to put on better events and to keep more of the funds raised towards their own community centres. 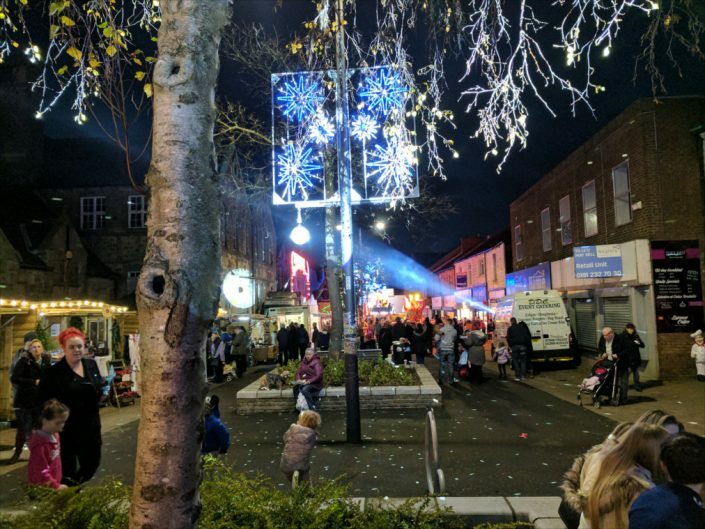 We continue to provide Christmas lights across the parish and added more fairy lights to the trees near the Louisa Centre to add to those provided outside the Civic Hall in 2015. 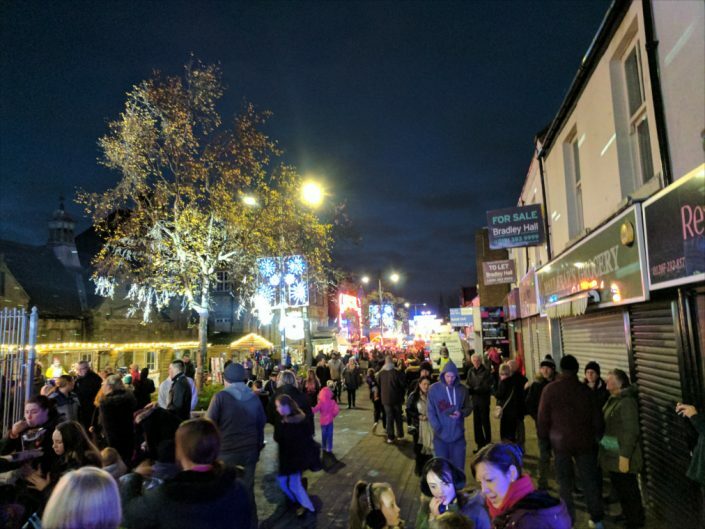 For the first time, we put on a Christmas Market and funfair in the Front Street as part of our Christmas lights celebration event which was really well supported and thoroughly enjoyed by everyone who came along. We hope to build on this concept in 2017 and make it bigger and better. The Council has allocated funds to provide a community radio station, to be provided at PACT House, to provide a local platform for people to learn and develop media skills, to share information and hopefully to create another community resource to promote Stanley both to residents and beyond. We also continue to support memorial events by organising the South Moor event ourselves, providing a ceremony on 11th November at our premises and providing resources for Craghead and Annfield Plain’s events. Aside from war remembrance events, we also participate in the organisation and delivery of the annual memorial for the West Stanley Disaster. The Civic Hall staged Aladdin, our first in-house pantomime production in December 2016 which was a great success and the team are already planning Snow White for 2017. The advance sales are excellent. The Council opened a Coffee Shop in the Civic which has helped to keep the hall busy even during the days when there aren’t any shows or bookings, however those days are fewer than ever as we have more corporate and training bookings than ever and shows almost every week of the year. We continue our incremental refurbishment of the Civic Hall and are proud that by saving the Hall in 2013 we have been able to safeguard a cultural asset for the residents of the town that would almost certainly if it had been lost, never replaced. In 2017 we are planning to create our own in-house company, the Alun Armstrong players, to use the theatre and facilities to their fullest potential and to stage two further full-cast dramatic productions a year to further enhance our programme. The Civic also hosted our very successful Chairman’s Awards night, an event designed to enable the Council to recognise and pay tribute to people all around Stanley who have made a real difference to the lives of others and enhanced the area through their community service. These will return in the next Civic year. On the Communications side, we continue to attempt to be innovative in the way we engage local residents. We are active in social media and have built a solid following through our Facebook page which helps us reach and inform residents about local events, news and items of interest. We have been trialling broadcasting our meetings live to try and further spread the word about what the Council does, how it conducts business and how people can get involved and we remain committed to communicating to every household by regularly distributing printed media in the form of local magazines and what’s on guides.